Thank you to Sally from 500daysofsally for nominating me for the Liebster Award! Also, I'd like to apologise for not posting much at all recently, I've wanted to just haven't felt the urge as i know instead of blogging i should be revising although, i haven't done much of that either. Answer the 11 questions that the nominate has made for you, list 11 facts about yourself and create 11 questions for your nominees. Nominate 11 bloggers who has less than 200 followers and who you think really deserves it. I'd been watching beauty gurus on youtube for years and then more recently i found the world of fashion/beauty bloggers and feel even more in love with everything to do with it. 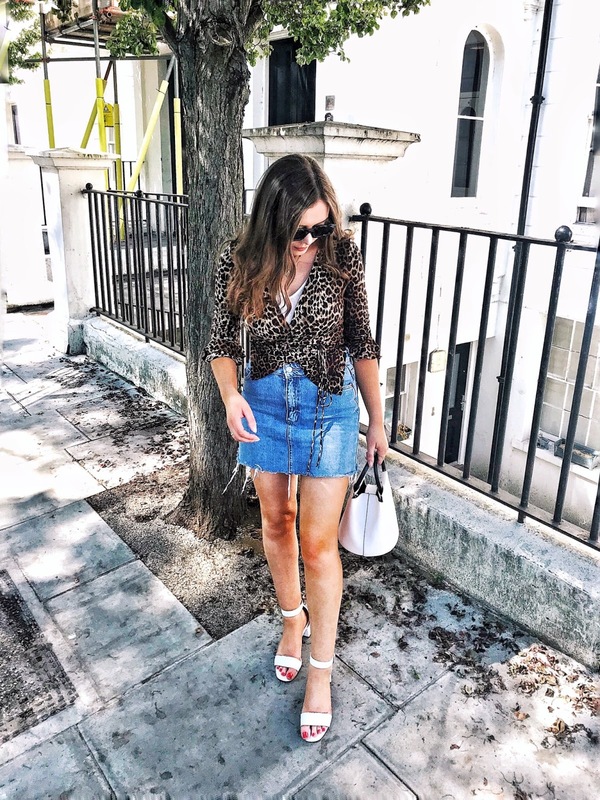 I started my blog because i had a thought that maybe journalism, even specifically fashion journalism could be what i wanted to do as a career, i absolutely love it and right now, that is what i want to pursue. I'd always loved writing but got frustrated with trying to write a books, I love song writing but i realise now that this is what i was searching for. 2. what is your goal in life? My goal in life is to be truly happy and successful in what i do. I have high expectations for myself which scare me a little but i'm sure most people do. The thought of the future being unknown is unnerving when you really think about it. 3. what are the 3 most important things in your life right now? Right now i'd say my education and upcoming exams, my physical and mental health and my family and friends. 4. what do you consider to be your greatest talent? I don't want to sound vain because i'm honestly not but I consider my singing voice to be my greatest talent. I've been singing literally all my life and i don't know what i'd do if i didn't feel as attached to music; singing is so therapeutic for me. I used to post covers on youtube but stopped around a year ago, i might start again but who knows. They're here: Jayneemmasings they are old so i look different now and i would say my voice has progressed. 5. what do you consider to be your greatest achievement? I'd say my gcse results that i have got so far, I got an A overall in Science Unit 1 (chemistry, Biology and Physics) and also i achieved A's in some other exams but i have yet to take the other units in those subjects so therefore there is not a definite grade yet. 6. what your favourite 3 things about yourself? I really like my eyes and my legs and my hair, i don't know whether this question is purely appearance based but oh well! I have a few fears but one over powers them all. I suffer quite badly from anxiety and it is really, really horrible. It's gotten a bit better now but it's up and down and i hate it. It stops me from feeling comfortable in school and even around my friends. I think i have specifically social anxiety and it is awful, it controls me. 8. what do you think you’ll be doing in 3 years time? Hopefully in university if i think rightly studying Journalism, or at least that's where i want to see myself now. Hmm, i'm not too sure about this one. I believe that when you see someone that person can intrigue you in a deeper sense and you feel drawn to them but I'm not too sure that i believe that love is a feeling that happens by sight, to me love is much more deeper than that. I think that love comes with knowing the person and falling in love with who they are. 10. what do you think the best bargain you've ever bought is? 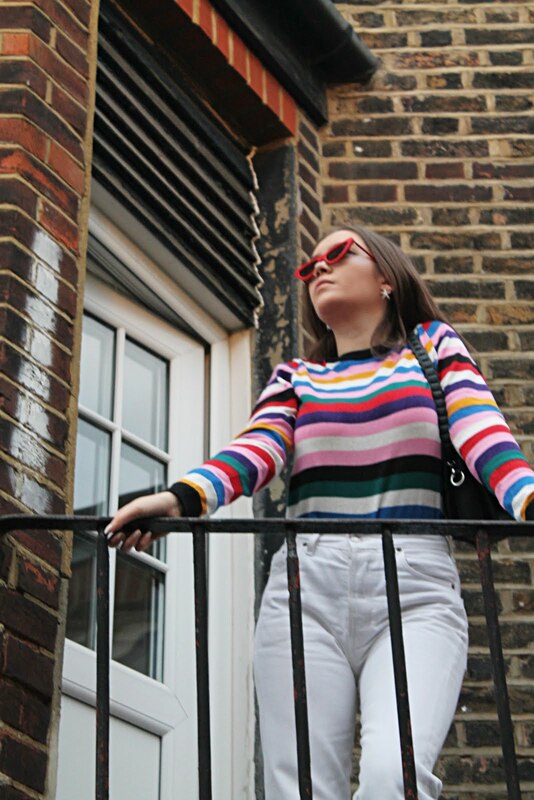 I actually can't think of a best bargain... i'd probably say a topshop crop top that was in my collective haul; I bought it in the sale for just £5, an amazing price for topshop! 11. if you could travel to anywhere in the world and do any one thing in that place, what would you do and where? I would travel to Paris and rent or stay in the most gorgeous flat and buy books and clothes and go out seeing the sights, it sounds really boring but it sounds so beautiful and inspiring. I would also love to go to London or just go partying and be wild. Opposite ends of the spectrum i know haha. 1) I am quite closed off and secretive nowadays, i keep most things to myself but about a year and a half ago i never used to be. 2) I don't completely trust any of my friends in my life right now, this ties in with fact number 1 but it's more than that. 3) I am not a judgmental person, i feel that i am very open minded, therefore i strongly dislike people who try and tell others who they are and judge them for things they've done and not for themselves. 4) I am starting sixth form in September and even though I feel old enough in myself, It's scary how quickly it's all gone as I am leaving normal school in less than 2 months. 5) Up until somewhere around Summer last year i'd always wanted to live in America but now i'm really glad i'm English and I love being from England. 6) I am short sighted and have needed glasses since year 1, i mostly wear contacts now though. 7) I have a cat named Fizz who i've had since year 3 if i'm remembering correctly, I love her. 8) As i mentioned in question 7, I suffer really badly from anxiety and have done since this time last year, it's been horrible and it still is. This has caused me to become depressed so i was a really unhappy person for awhile and while i'm at a good point right now i still always feel on edge and it's always there, controlling me. 9) I am around 5ft 4 and i'm told i'm quite small even though i'm okay with my height, i'd like to grow tiny bit taller though, maybe an inch or two. 10) I love reading and Harry Potter is my favourite and i also adore John Green's books, he is an amazing author, although there are many books which i've read that are amazing. 11) Finally, I am a gemini and i believe in horoscopes as for me, they seem to be true and what is said about my sign, most of it describes me in some way or another. 1) What made you call your blog what it is? 2) When did you start becoming interested in fashion blogs/beauty gurus? 3) Do you have any interesting talents or hobbies? 4)Who is your favourite artist/band? 5)Where would you go tomorrow if you had to start fresh somewhere new? 7) Do you have any fears? 8) What do you want to do when you are older? 9) What three beauty items could you not live without? 10) Favourite thing to do in your spare time? Okay so i know in the rules it said 11 but in am struggling to keep my eyes open right now and i can't find anymore at the moment so this is it for now, if you want to do this tag, just go right ahead and do it! i love reading facts about other bloggers like this! your Paris dream sounds like it would be amazing, and i'm glad you're feeling more positive now lovely. Thank you, great questions as well. I'm writing my answers now!